Directed by David Yates, the film also stars Samuel L. Jackson, Margot Robbie, Djimon Hounsou, John Hurt, and Christoph Waltz. In “The Legend of Tarzan,” it has been years since the man once known as Tarzan (Skarsgård) left the jungles of Africa behind for a gentrified life as John Clayton III, Lord Greystoke, with his beloved wife, Jane (Robbie) at his side. Now, he has been invited back to the Congo to serve as a trade emissary of Parliament, unaware that he is a pawn in a deadly convergence of greed and revenge, masterminded by the Belgian, Captain Leon Rom (Waltz). But those behind the murderous plot have no idea what they are about to unleash. 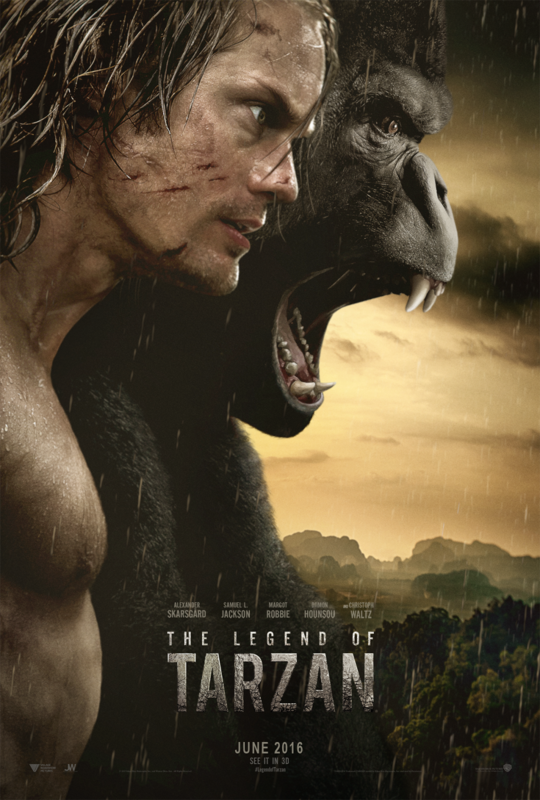 Opening across the Philippines in June 2016, “The Legend of Tarzan” is distributed by Warner Bros. Pictures, a Warner Bros. Entertainment Company.